Umm Good! Those would spice up any meal! Thanks for the giveaway.. I love olives of all kinds, but I have not tried the garlic stuffed olives. I think I'll add them to my grocery list so I can use them when I make spaghetti! 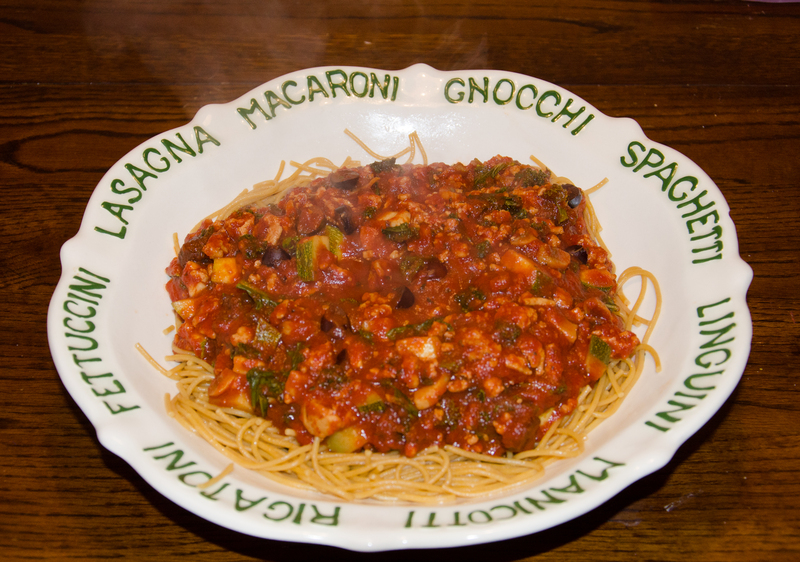 I would use Mezzetta olives in a rich Spaghetti Puttanesca All" Assereto sauce. A mixture of olives adds to the flavor! The garlic stuffed olives sound great. I love the kalamata olives and the roasted red peppers. I use them on Italian potato salad and in Greek orzo salad. My pinterest name is clc408. I made a mistake on the Rafflecopter and it doesn't allow edits. My favorite Mezzetta product is the pepperoncinis. I would make a nice party platter for our next poker party. These all would go great with cheese, crackers and grapes. I would love to try the olives stuffed with garlic!! I like the Mezzetta's Roasted Bell Peppers. I add them to my hummus! I would add the Peperoncini and the Roasted Bell Peppers to pizza. I would make a greek salad with quinoa. I love these. My favorite is the peperonicini. They are so good in salads and subs. Thank you! I love the Garlic stuffed olives. They are fantastic. I have had a few of their spreads and I liked them as an additive to other dishes. I think the roasted bell peppers would be good mixed in with pulled pork. I have used the spreads as part of a mixture inside cinnamon roll type bread. I like those Kalamati olives the best. I would make a spinach and artichoke panini. Love the dip, stay for the sandwich. 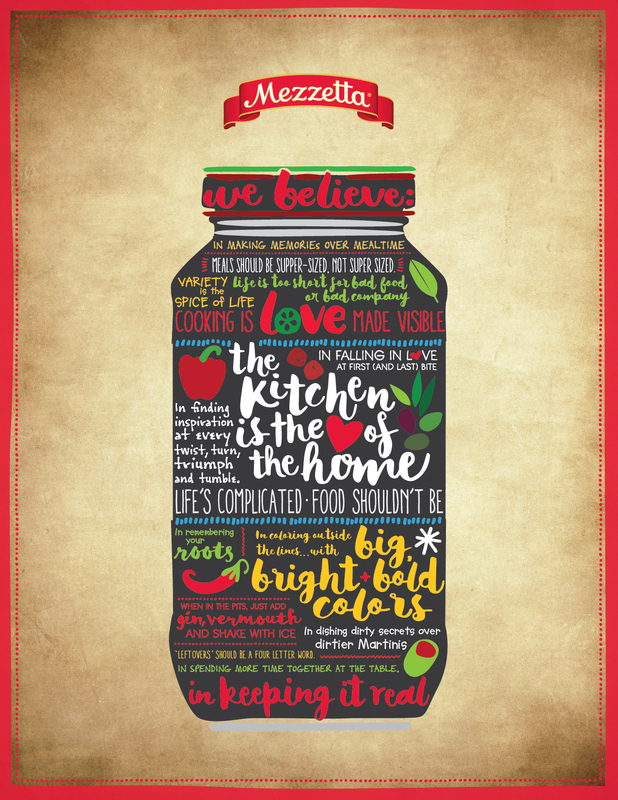 My favorite product is Mezzetta Marinated Artichokes Hearts! I would create an artichoke pizza. I really want to try the Garlic stuffed olives. I would love to set a plate of different olives and peppers out along with a cheese plate for a party. With the upcoming Fall parties, bonfires & cookouts. I love to bring balanced veggie/cheese/olive plates & then holiday parties right around the corner. This is the perfect contest so thank you =) I'm most looking forward to trying the Mezzetta Kalamata olives. I think these would be fun to use in salads or pasta dishes! I like their roasted peppers. I would create a sub sandwich with cheese and all the toppings. The stuffed olives look lovely, I've never tried those! 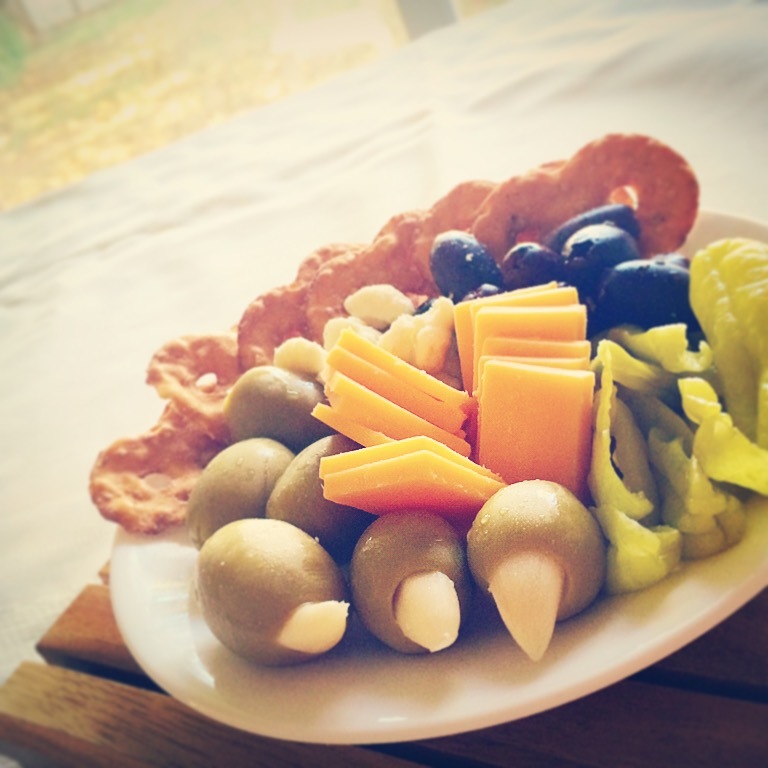 I would create an antipasto plate to snack on. I would make a roasted pepper/turkey/cheese panini. I love the pepperoncini in bloody Mary's. My husband likes the garlic olives. I'd like to attempt a Bloody Mary pizza. I have never tried any, but the Jalapeno stuffed olives sound delicious! I think they would be a great appetizer on game day! I like their marinara sauce. Would love to make a homemade pizza with olives! Wow, the garlic stuffed olives look really good. 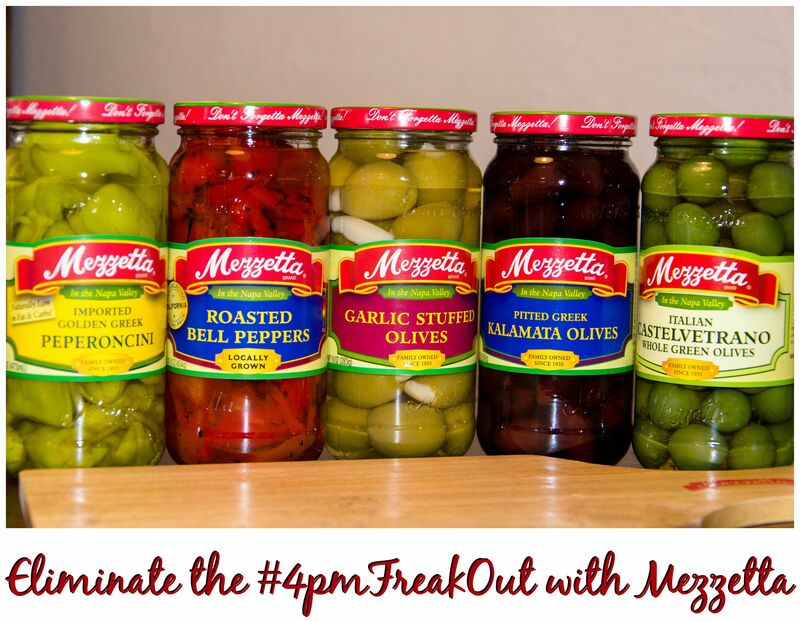 Stuffed olives are always very popular at my house, but all of Mezzetta's products are delicious! Antipasta boards and bruschetta are a couple of quick to put together appetizers, and the olives and peppers are perfect for these. I LOVE the pepperoncini! Thanks for the chance to win! I LOVE their bleu cheese stuffed olives. I even use the juice for dirty martinis sometimes. Kalamata are a close second because I love throwing them in any salad. Love the Garlic Stuffed Olives!! I would make an olive and cheese platter. We love the Peperoncini and go through at least 3 jars a month! I would use the Peperoncini to create a delicious pasta salad with the olives as well! I am looking forward to trying Roasted Bell Peppers. I would make an appetizer plate with these products. My favorite Mezzetta product is the jalapeno stuffed olives. I would put Mezzetta peppers on pizza. Our favorites are the Pepperoncini! I'm thinking of shrimp with olives and roasted red peppers over polenta. I would make an olive dip and antipasta platter. I love Mezzetta's Roasted Red Peppers. I use them often in my cooking. want to try the castelvetrano olives. I love the garlic stuffed olives! In fact, I have a jar in my fridge right now! Would make a spicy pasta dish. The pepperoncini sounds like they would be delicious on a ham or turkey sandwich! I use their pesto sauce all the time. Its the best out there. We buy the Giardiniera (pickled veggies) and add them into our lunch with fresh veggies. I would like to try the garlic stuffed olives. I would love to make pizza's with the great products they have. I love olives so would love to try their Garlic Stuffed Olives. I would use their marinara and garlic stuffed olives to make my stuffed peppers. I love pasta with red sauce and olives. We love the stuffed olives!! They are amazing!! I can eat an entire jar if I let myself….so good!! We make an amazing grilled cheese stuffed sausage on a hard roll with the roasted peppers!! It's so good!! Everyone who comes over and tries it falls in love with it!! Best sandwich ever!!! I haven't tried Mezzetta yet but we love olives so I'm looking forward to trying those. I would add ripe olives to my favorite potato salad. I like the Mezzetta pepperoncinis. I would make Italian beef with the pepperoncinis. My favorite product is the Kalamata olives. So, so good. I use their olives in creating new Mason Jar salads to take along to work. I really want to try the Tomato & Sweet Basil sauce! I would make some baked ziti! I think I would make a pizza. I would make a tapenade and a salad. I love all of Mezzetta peppers. I would make a big Greek-style salad. My husband loves the pepperoncinis. I try to keep a jar on hand at all times for him. I would make a Greek salad. I love the KALAMATA olives especially in salads! The garlic stuffed olives I would use on an antipasti platter! I love love love the garlic-stuffed olives! They are so good. I would love olives in my pasta salad.